The adapter can be easily attached and removed in about 30 seconds. The benefits of such a system are numerous. Even with the stock attached it is small enough to be carried concealed under a jacket – unlike a rifle or carbine. 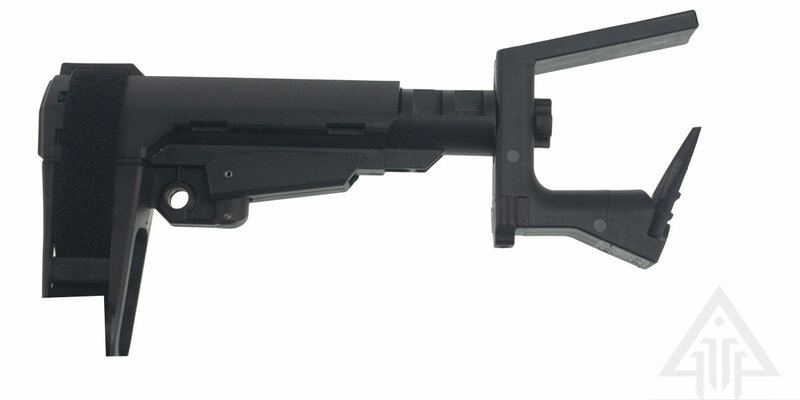 The stock improves accuracy by steadying the pistol against the shoulder. This also helps soak up recoil allowing faster followup shots.